The Tropicana Hotel's "Folies Bergere", reproduced from the famous French show, was a staple on the Las Vegas strip for 50 years. When the long running extravaganza closed in 2009 it marked the end of an era in a town whose very symbol was the "Showgirl". Rhinestones and feathered headpieces, each bigger than the other were part of the glamour everyone wanted a part of. 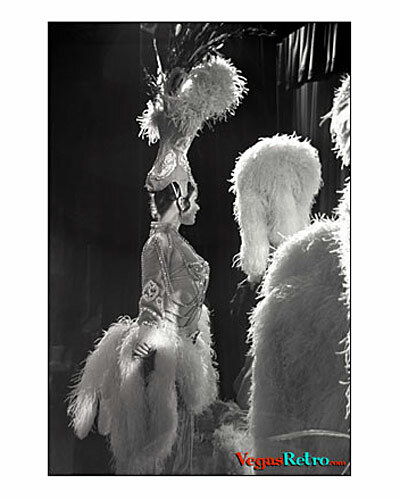 This photo was taken from side stage at the Folies Bergere in 1969. A much different, more intimate view than the audience experienced nightly.